–Poll Results: Would EVE be better without killboards?, Do you have confidence in CCP’s 3 year plan? 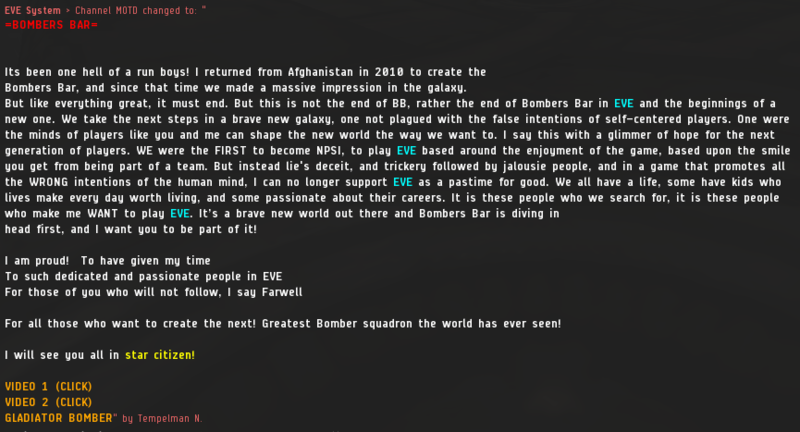 –EVE News: The Battle of B-R and analysis of the consequences, Nulli falls back, PL withdraws from the war, Return of the titan drive by, The end of Bombers Bar? We hope not.